I can’t believe it’s only 12 days left until Christmas Eve! That’s so crazy! The days of December always seem to go by too fast, don’t you think? I love Christmas and would have loved to have Christmas last just a little longer… But I guess in the end, we all just have to make the most of the days we have until Christmas and enjoy them as much as we can! At least we can have fun with decorating for Christmas! Today I have a super fast and easy Christmas DIY project to show you. Make your own DIY Christmas Swag. This project is so easy, and it took me about 15 minutes, from start to finish. So if you’re looking for a beautiful, but super fast DIY Christmas project to do in between all your Christmas preparations, well this is it! 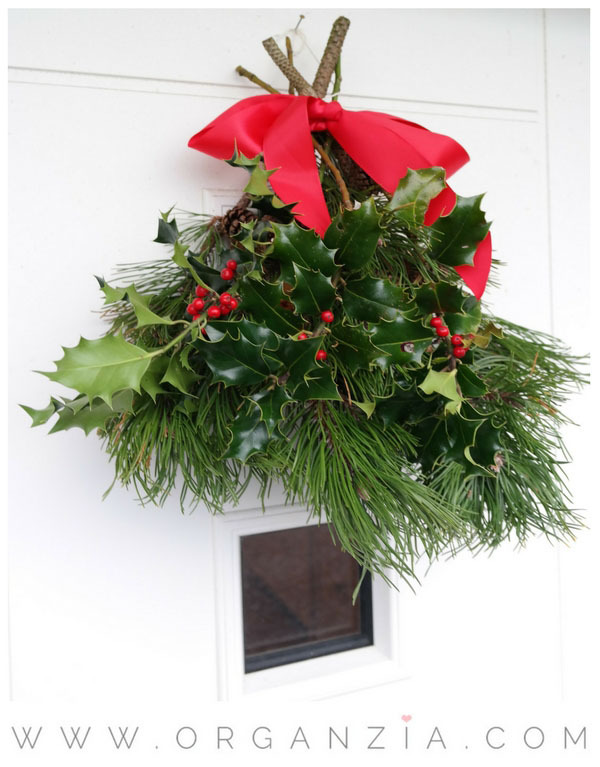 In Norway, pine branches and holly braches are easily accessible and can be bought everywhere during the Christmas season.If you live somewhere you can’t get a hold of fresh pine branches and holly, there’s no problem using artificial pine branches and holly with berries. And if you use artificial materials, the plus side is that you can store it for next Christmas and use it again! Time saved is always a good thing, right? 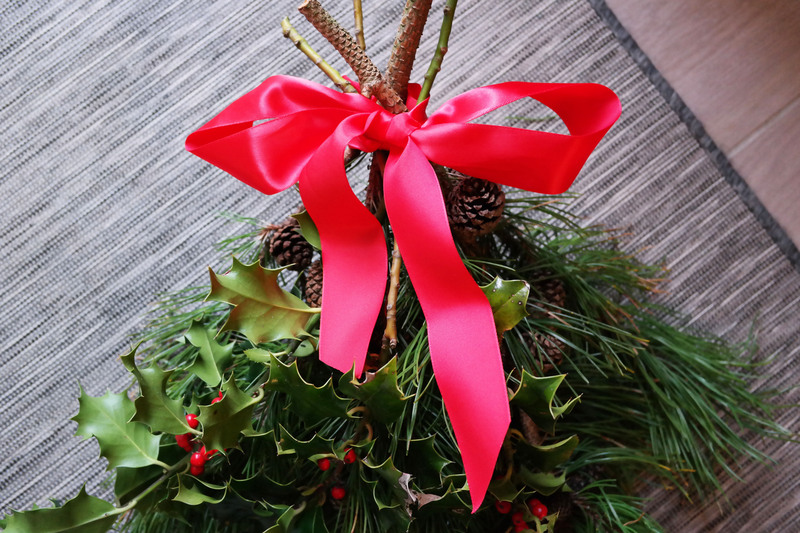 So all you really need to do is lay out your pine branches how you want them, lay out the holly branches nicely on top of the pine branches.Use some red ribbon and tie a really tight knot, fasten it good so it will stay in place. 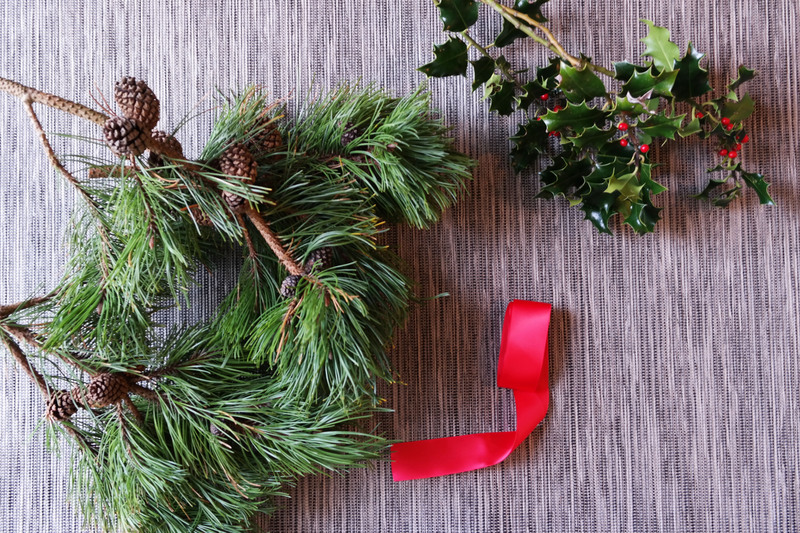 Use another long piece of the ribbon and make a beautiful bow on you DIY Christmas Swag! I’m not the best at making beautiful bows, so don’t really have any advice to come with regarding that… But there are probably videos you can check out on youtube, for making the perfect bow. My bow turned out pretty ok after my third try, and it’s a DIY project it doesn’t need to be perfect. Love how this DIY Christmas Swag turned out, and it fits perfectly with our traditional Scandinavian decor throughout the rest of the house. And what I love, even more, is how EASY it was. From start to finish and ready hung up on my front door it took 15 minutes. This is a perfect DIY project for all us busy mamas trying to get everything ready for Christmas! I bet it’s not just me who’s running around trying to get everything ready…! I really hope you enjoyed this easy tutorial. 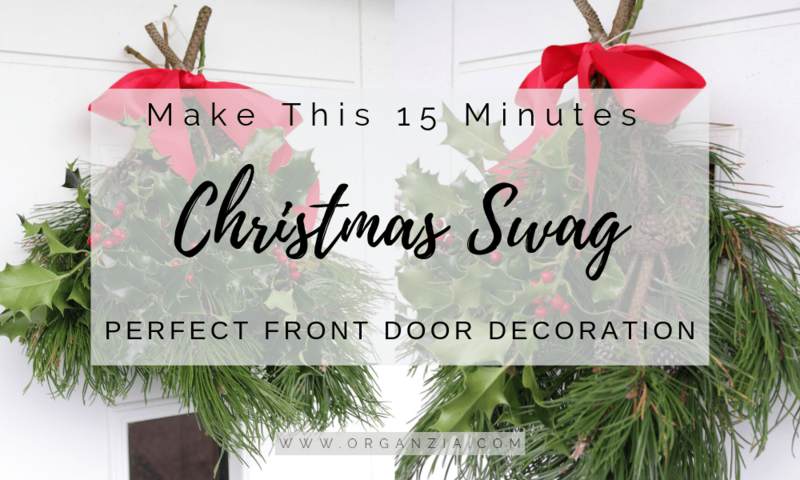 And if you’re looking for more Christmas decor inspiration, check out my post Budget-Friendly Christmas Decor Items – All Under $10! So simple! I love it! Great idea, looks so festive. Usually I make a fresh wreath for the holidays but this year I decided to try something different! Thanks for the tutorial and the inspiration!